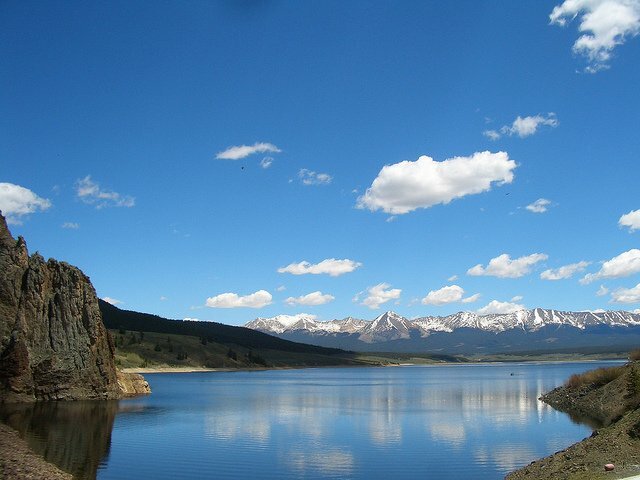 Colorado is a state known for awesome winter activities including world-class skiing, snowboarding, ice climbing and snowshoeing, but the menu of this gorgeous state’s outdoor adventures is equally impressive in the spring and summer months. 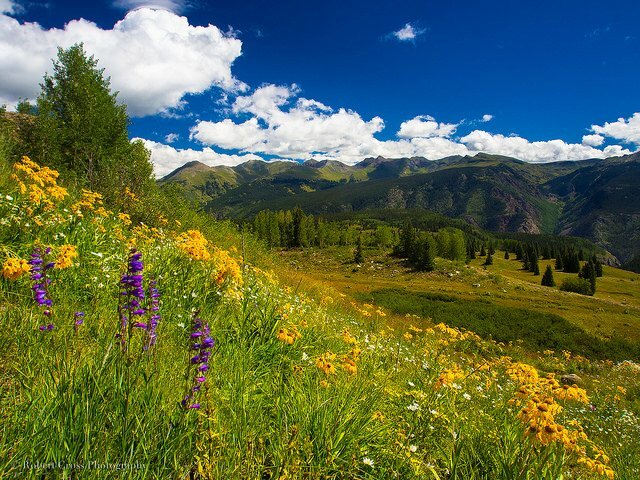 Climbers and hikers know that Colorado is the highest state in the U.S. thanks to 54 “Fourteeners” – mountains with an elevation of 14,000 feet or more. 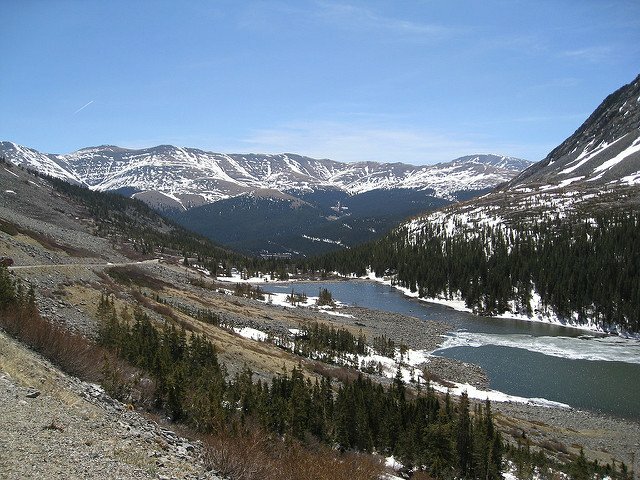 Many trekkers collect all 54 and a good place to start is Quandary Peak near the mountain ski resort of Breckenridge. At 14,265 feet Quandary Peak is a relatively easy climb requiring no rope work or technical scrambling, but you may feel the burn of oxygen-deprived muscles. The best trail up the wayward three mile route starts at 10,900 feet from a trailhead eight miles south of town. Working your way up you’ll pass clusters of abandoned mines before making the peak’s east ridge near the treeline. Head out in the morning and leave the summit by noon to avoid afternoon lightning that often accompanies spring and summer showers. Anglers looking for the biggest trout in the state know that Gunnison and the Taylor River are likely destinations for catching a trophy fish. Rainbows – often weighing up to 15 lbs. – lurk below Taylor Park Dam in a quarter mile section known as the Hog Trough. The currents are a challenge when fishing along the 12 miles of public water here and crowds are common. You’ll need flawless technique to dead-drift tiny nymphs in this swiftly moving river. 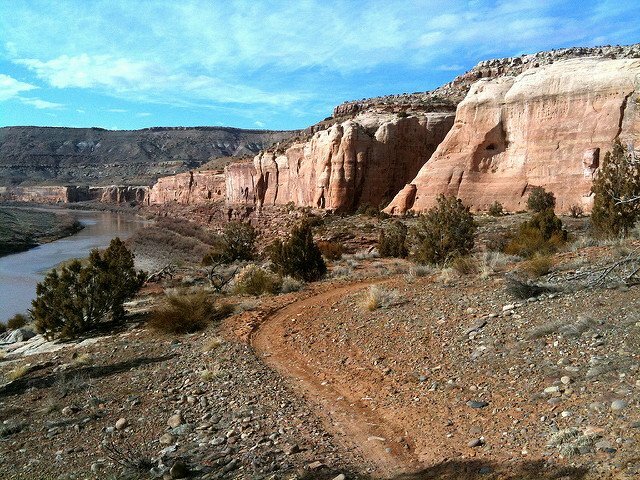 Just 19 miles from the Utah border, the quaint town of Fruita is a mountain biking hotspot. Intermediate and expert riders find that the area rivals Moab with smooth, single-tracks giving way to tight curves and rocky steep sections, all with outstanding scenery. Ride past weathered badlands and red rock canyons cut by the Colorado River. Just north of town 18 Roads Trail has a network of good rides and offers primitive campsites. If exquisite views are part of your ride agenda, the Horsethief Beach Trail south of town hugs the rim of stunning Ruby Canyon. 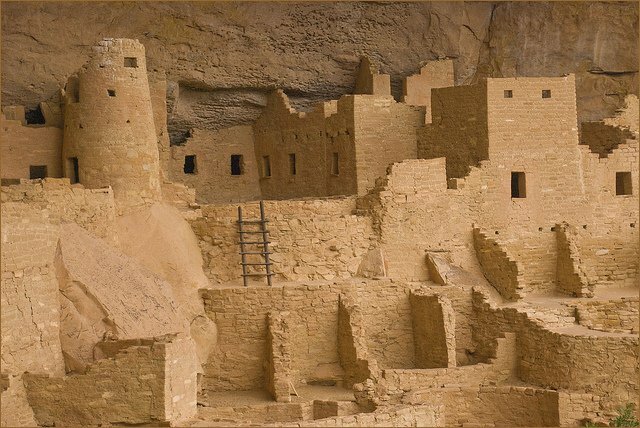 Some of the most fascinating remnants of the country’s early inhabitants are found in Mesa Verde National Park, where the Anasazi people built amazingly elaborate cities between 600AD and 1300. Hikers can still visit some of the 5,000 known archaeological sites here on guided tours, or in certain park areas explore on their own. The guided tours climb ladders and crawl through tunnels to Cliff Palace and Balcony House, constructed in stone alcoves high above the canyon floor. Solo hikes on Petroglyph Point allow you to experience the solitude of this astonishing place among the primitive paintings and ruins. 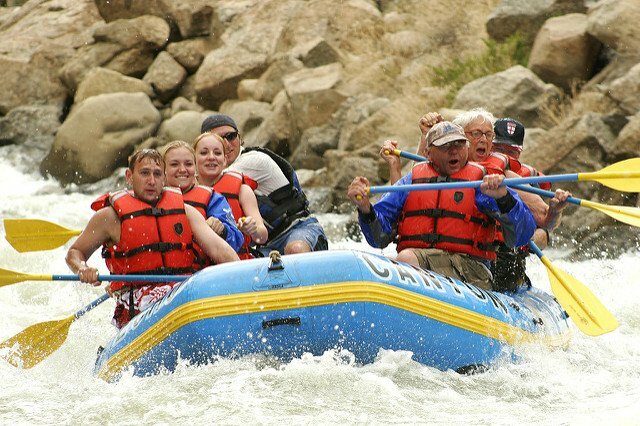 The state’s most popular whitewater destination starts near the town of Buena Vista, a 12-mile stretch of the Arkansas River through Browns Canyon. 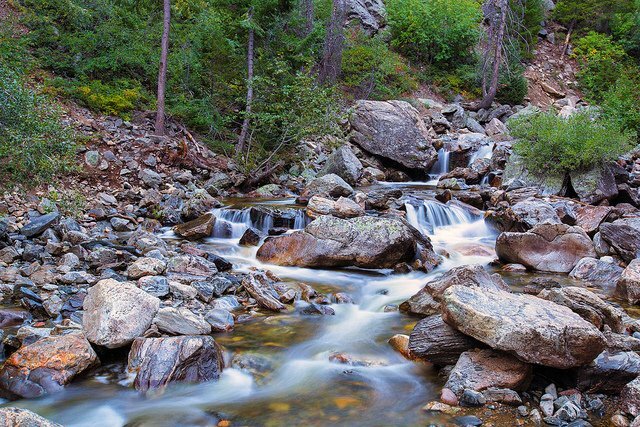 At the start of the trip you’ll view several impressive “fourteeners” towering over the river before it plunges into a granite gorge where it’s likely you’ll spot bald eagles and bighorn sheep. There are plenty of class III and IV rapids to add to the thrill – the biggest is called Zoom Flume and churns for a quarter of a mile. In the windless early morning hours, the gentle air currents near Steamboat Springs make conditions ideal for ballooning. Floating high above town, you’ll appreciate the scale of the vast mountains and deep valleys while looking down through the mists blanketing sweeping ranchlands. Passengers see cattle grazing in open meadows, the Yampa River snaking through grasses, and peaks of 10,500 feet or more rolling away in every direction.